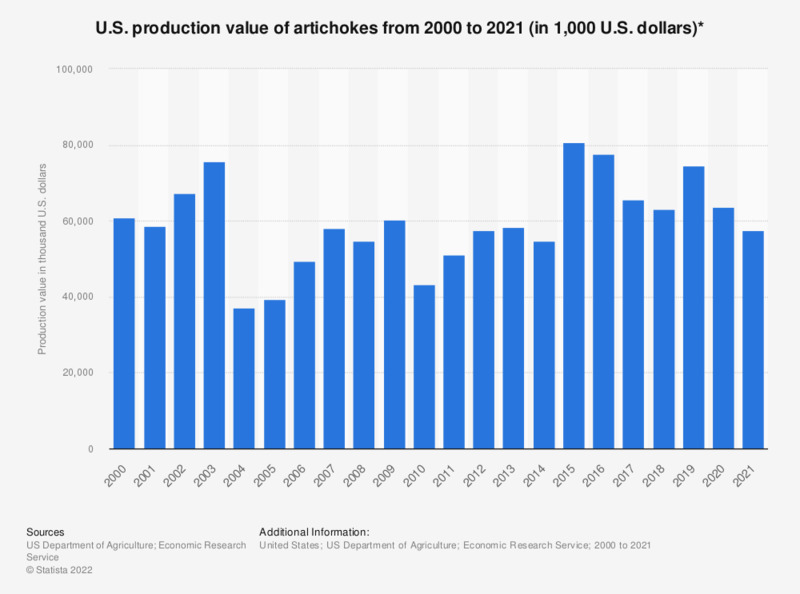 This statistic shows the production value of artichokes in the U.S. from 2000 to 2018, for fresh market and processing. In 2018, the production value of artichokes in the United States stood at some 63 million U.S. dollars. * Value of utilized production for fresh market and processing.